When people talk about a knife's edge between pleasure and pain, they are usually talking about their own pain. But these people like to get their kicks from the pain of others. These people will make you scream while they grin from ear to ear. 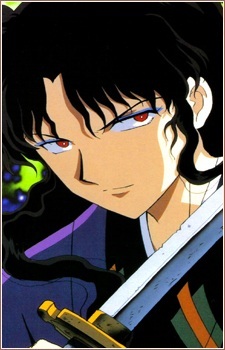 Though Inuyasha is a heavily action-oriented series, it might be the romance featured that garners the most interest. Let's look at the implications behind perhaps the most significant kiss between Inuyasha and his old flame Kikyou. InuYasha is one of the most popular anime series in the world. It’s famous for its wide range of funny, cute and complex characters. Now let's take a look at the hottest! Inuyasha and Sesshomaru are known for their strained relationship, despite being brothers. One of their many disagreements and battles is for their father's sword, Tessaiga. Although Inuyasha inherited it, Sesshomaru continues to fight for it and attempts to take it from Inuyasha.